What happens when your organization doesn’t even have a purpose for recognition? Why should you have a written mission statement for recognition? That’s the dilemma one of your fellow subscribers submitted. For them, their biggest struggle is not having a formal company mission regarding recognition. Too often, the focus for many organizations with recognition is limited to recognition programs. Recognition programs should be viewed as simply a tool to help people practice the more important, day-to-day practice of recognition giving. That’s why your purpose for recognition should always include recognition practices as well as your recognition programs. 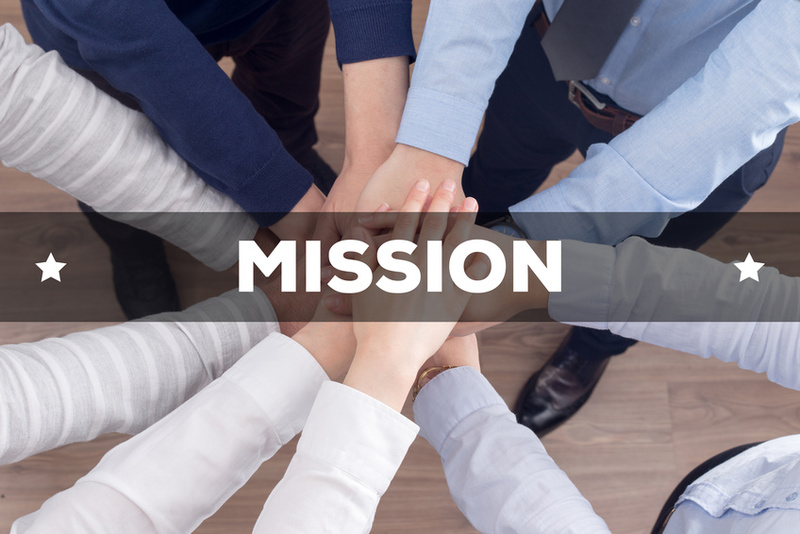 How can you create a recognition mission statement? What is your purpose for giving recognition? Get people’s initial response to the question, “What is your purpose for giving recognition?” Then drill down further by asking “why” to each statement people generate. Repeat this three times, if possible, after each response. The end result will be a powerful purpose phrase or statement you can use. Recognize employees for years of service. To create and maintain a positive work environment. To create and maintain a culture of recognition. Support organizational mission and vales. Increase retention or decrease turnover. But a mission, or purpose statement for recognition, have to connect at a more emotional level as well as a logical one. One organization, where I helped facilitate a recognition strategy for them, stated in their recognition mission, or purpose statement, that they believed that motivated employees develop better products and services. Find out what your leaders think. When there is no mission statement for employee recognition then there is no North Star to guide you and your team on what you should be doing every day. Furthermore, you need some directional statement that will help all managers and every employee know why they should be recognizing one another. Why are you giving recognition to your employees? Someone will challenge your leadership at some point in your career, and ask you why the company should spend money, time, and resources on employee recognition. How will you answer them? You should have a clear reason why. But it’s more important to state the collaborative input you have gained from your senior leaders. Have them be the ones to articulate the reason why they feel employees should be acknowledged and recognized. Having their combined voices put down on paper is a powerful way to set expectations of all of the employees. Refine all the statements into one succinct, agreed upon sentence. A group of leaders I worked with wrestled out their reason for recognizing employees. They felt that recognizing employees was the best way to ensure their team members felt valued, inspired, and proud of their contributions. They knew recognized employees meant engaged employees. If there is a common mantra that is heard today amongst employees in the workplace, it is having a purpose that is bigger than them. There has to be meaning behind the work they do. And, that is why, having a statement that tells people why they should be recognizing their peers, can reinforce greater meaning in the contributions and work they do. Why are you doing recognition for the company? Are their benefits to the company for giving employees deserved recognition? You may have to help some leaders know that giving recognition to employees improves people and performance metrics. AON’s 2018 Trends in Global Employee Engagement showed that “recognition for contributions (beyond pay and benefits)”, was consistently listed as one of the top three drivers of employee engagement. Recognition for contributions was consistently listed as one of the top three drivers of employee engagement. Giving recognition improves the positive relationship strength between givers and recipients of recognition. When there’s a high, positive relationship strength between employees, and especially between managers and employees, employee engagement and performance results are high as well. Recognition helps employees who are making a difference, to truly feel valued and appreciated. Leaders from one organization I worked with, felt that giving recognition the right way to people would cause employees to view the company as a trusted and reliable company to work for. They saw that as an important reason and outcome from recognizing employees. Recognition helps employees who are making a difference, to truly feel valued and appreciated. Receiving recognition is a way for people to know their work is not being taken for granted. Work with your executive champion to engage the leadership team and departmental managers on the need for their representation in crafting a recognition mission or purpose statement. The end result is a guaranteed way to set goals by, focus your energies and resources, and inspire employees to actively appreciate those around them. Recognition Reflection: Does your organization have a well thought our recognition mission statement?